WHO: The Spring Fling is for educators in SD57 (Prince George), SD28 (Quesnel), SD91 (Nechako Lakes), SD27 (Caribou-Chilcotin) plus other educational professionals, advocates, specialists, and community members from Prince George and beyond. This conference takes place on the traditional territory of the Lheidl T'enneh First Nation. This conference is the result of the cooperative efforts from the PD Chairs and their committees from the following BCTF "North Central Zone" locals: Prince George (57), Quesnel (28), Nechako (56), and Burns Lake (55), with advice from Caribou-Chilcotin (27). 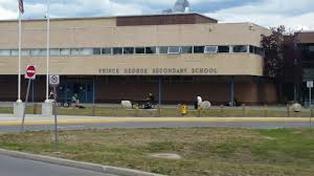 Thanks also to contributions from CUPE local 3742 and the local chapter of BCPVPA -- the Prince George Principals' and Vice-Principals' Association. Special thanks to Joseph Jeffrey for help with technology and planning. Conference Registration: opens February 2018 -- see the WORKSHOPS and REGISTRATION links above to preview sessions and sign up. We are using a new registration system this year -- please report any anomalies to the conference coordinator. Educational Marketplace: our publisher and vendor display area runs on Friday Apr 20th from 8:00 am - 4:00 pm. Check VENDORS for more information. 1000+ registrants -- teachers and others -- who met the day with enthusiasm and purpose. Thank-you. Local and imported presenters & facilitators who put together great sessions, including our keynote Sarah Garr. We had more presenters from Nechako, Burns Lake, and Quesnel teachers this year and this worked out very well. Mike Carson and his Free the Children students for set-up, take-down, inquiries, and trouble-shooting. Joseph Jeffrey, Trina Chivilo, Nathan Frost, Chris Smith, Anik Provencher -- members of our Pro-D Committee, for help in planning, problem-solving, and time especially on Apr 21 and 22. Joseph also set up the searchable database on the edfling.ca website -- a great experiment that we will expand next year. Other members of our PD Committee (Jennifer Pighin, Melanie Switzer, Kathy Rice, Maja Tusek) were involved in the planning. Dave Probst and his cafeteria team for the great refreshments at 8 and 10, packed lunch for the excursion, and "scrumptious" presenter/vendor lunch. Diverse and helpful vendors and table hosts in the Educational Marketplace. Office (and custodial) staff at PGSS, in particular business manager Cynthia Mangan, for all kinds of help before and during the conference. Steve Lloyd for technology help. Richard Giroday for MCing the keynote, Joanne Hapke and Nancy Pilon for support -- the PGDTA staff fielded many calls and emails for the conference. Edith Frederick for her greeting and traditional welcome to the Lheidli Tenneh territory. Doug Waller (and his sidekick... name escapes me) for theatre tech in Vanier Hall. Shandee Whitehead and Kelly Johansen for setting up the student dancers before the keynote. The dance group "Together We Move." Kim Rutherford, Vince Truant, and Phil Rice for helping with room assignments. PGSS teachers for giving up their classes for a day, and being calm about putting their rooms back together a bit afterwards. Thanks to sponsoring organizations this year: CUPE local 3742, PGPVPA (Principal/VP), CUEBC (Computer Teacher PSA), BCAMT (Math Teacher PSA), myPITA (Gr.4-8 Teacher PSA), Canada's History Society, the Pacific Slope Educational Consortium, and the BC Labour Heritage Centre.